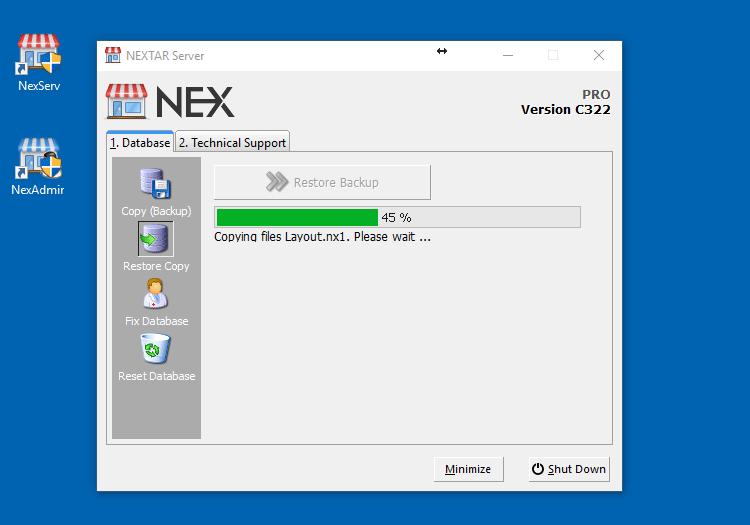 Often after using the NextarSoftware for a while or after testing it at home or in another location you may need to transfer all history and data to another computer. This requires a simple backup from where you would like to bring your data. Then when you are on the computer where you wish to transfer the data for do a backup restore. In this tutorial we will try to explain clearly this procedure. 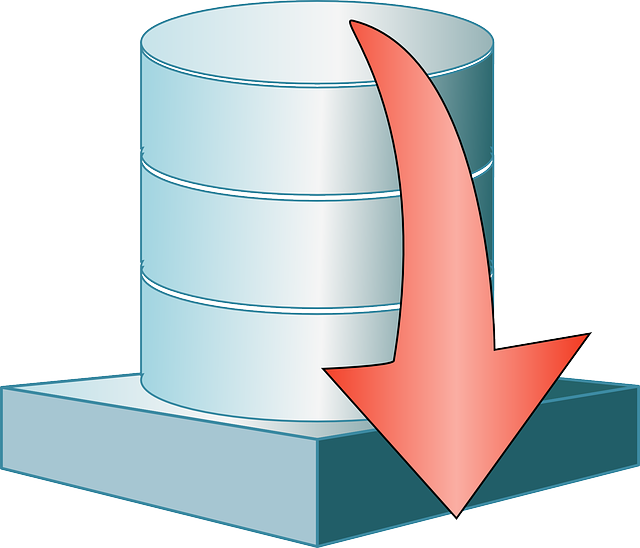 Important: This procedure does not allow you to use the same database in two stores. Once downloaded there is no type of synchronization between these data. 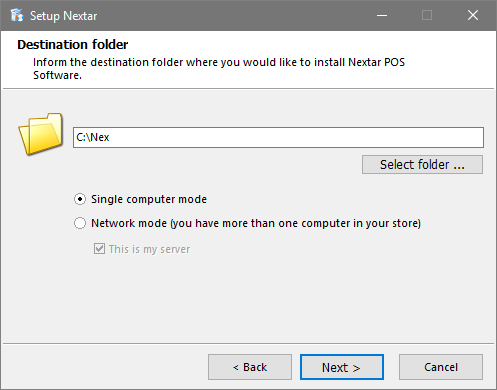 It is also important to remember that you can only have one server NEX (NexServ) on your network/store. 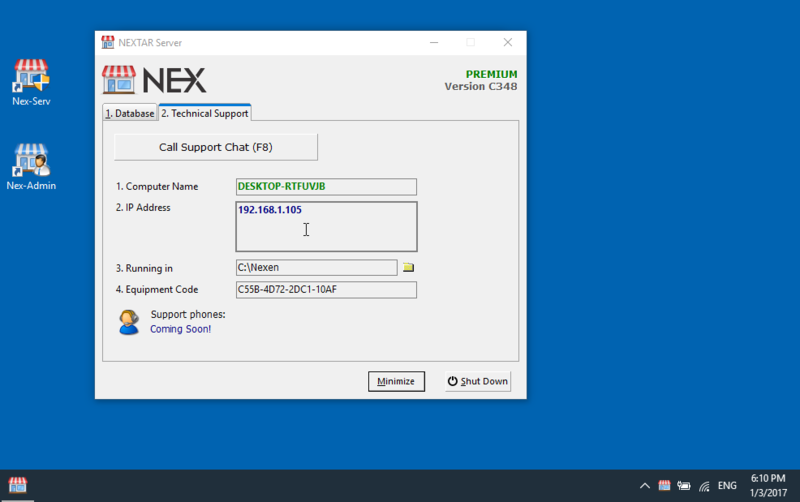 The first step is to access your NEX server also known as NexServ. 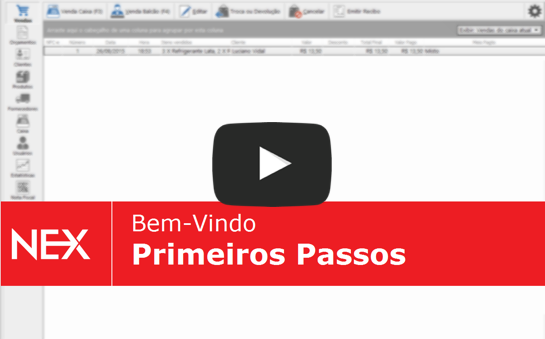 If it is already open you can access it by double-clicking the icon that resembles a red house. It appears next to the Windows system tray (systray) next to the Windows clock in the lower right corner. If the NEXserv is not opened yet you can access it by double-clicking the shortcut or the executable represented by a red house. Depending on your Windows maybe after this procedure you may need to access it in the tray as we explained above. 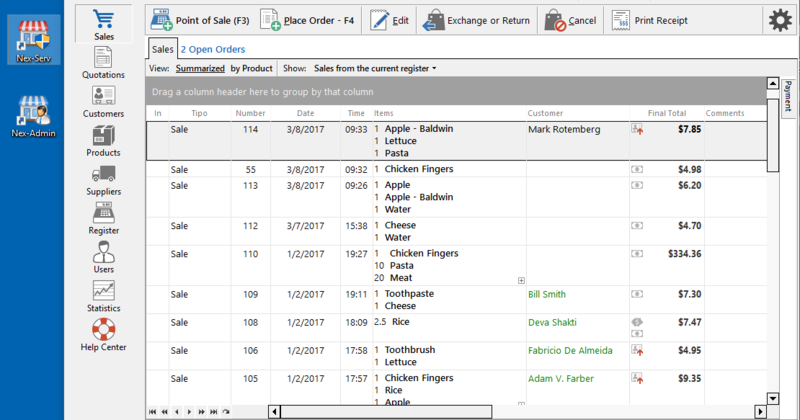 With the NexServ open go to the 1.Database tab. Then open the "Copy (Backup)" menu. 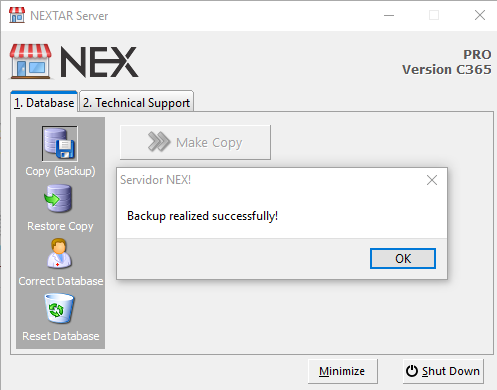 Determine where you want to save your backup, and then just click "Make Copy". After you are done with the back up you need to take them to the computer where you want to transfer them. So through the cloud, network, USB stick or other mobile disk download the backup that are in the folder you set as "Destination Folder". When you're already on your new computer transfer the data into your computer, preferably in the folder where the program has been already installed. Lastly, access again your NexServ like you did on your other computer. This time go to the 1.Database tab again but go to the "Restore Copy" menu. Click the "Restore Backup" button and a screen will pop up asking where is the backup you made. Access the location where you saved on your computer and finally click Ok.
All set! When the restoration is complete a program warning will appear on the screen. 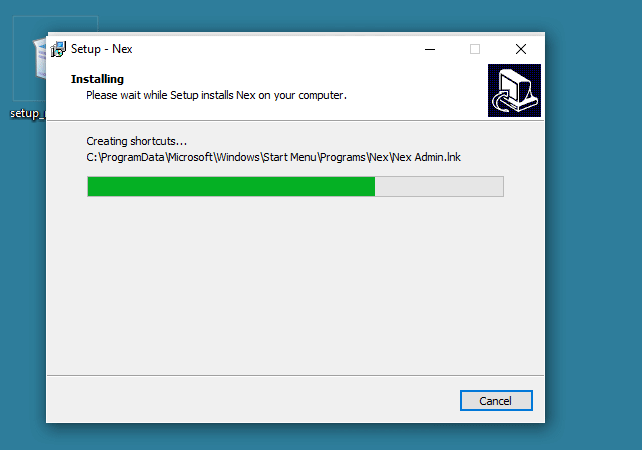 You can now access your NEXadmin (NEX Administrator) and work normally .